German designer Holger Hoffmann loves to see wild animals in their natural habitats during his travels. He also hates to see them hanging from the walls as trophies. 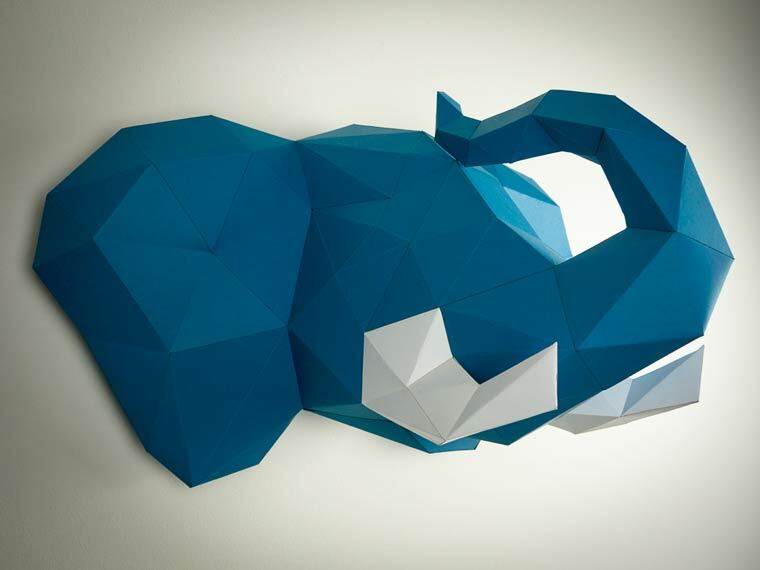 These two premises led to the idea of creating the Paper Trophy series. 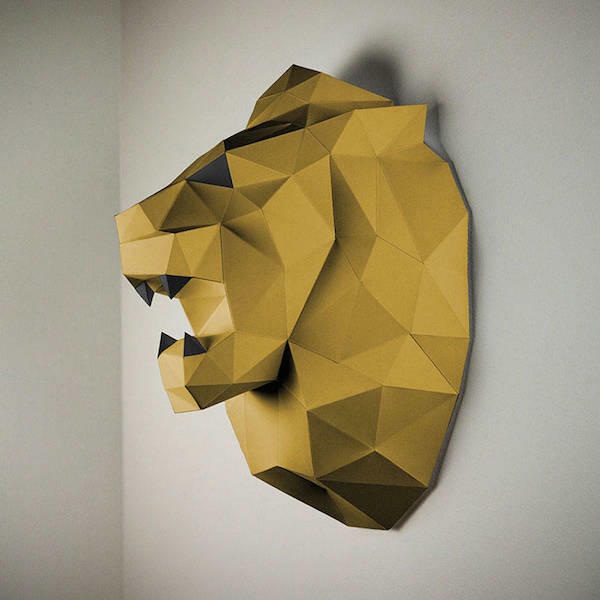 The Paper Trophy series consists of large geometric forms that represent generally hunted animals – and imaginary ones – all made of paper. 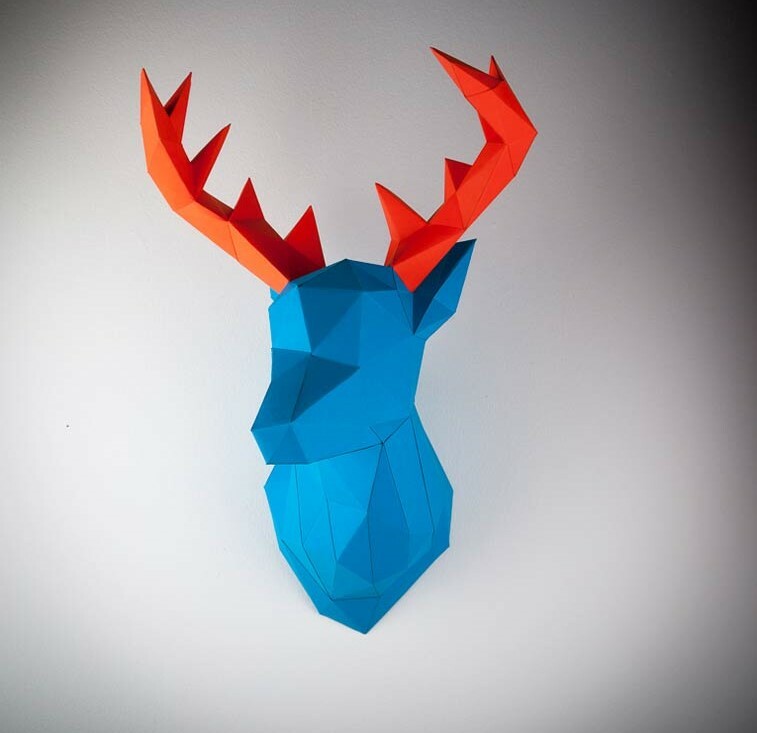 These beautiful minimalist paper animals are the modern design approach to hunting trophies usually seen in hunter’s homes. The wall hanging figures, which include a lion, an antelope, a cow’s skull and a hippo, among others. They are sent to client’s homes flat-paced and pre-cut, ready to assemble using no scissors, only glue. There are lots of color combinations that give the pieces an extravagant feel, while offering an original elegance through the shadows and lights created by the cubic geometric shapes. Every single one of the pieces in the paper trophy series goes through careful testing before getting the Papertrophy seal. Then, the designer resorts to local printers and high-quality eco-friendly paper to build these beautiful pieces. Definitely a wish list item.